Jean Marinello. 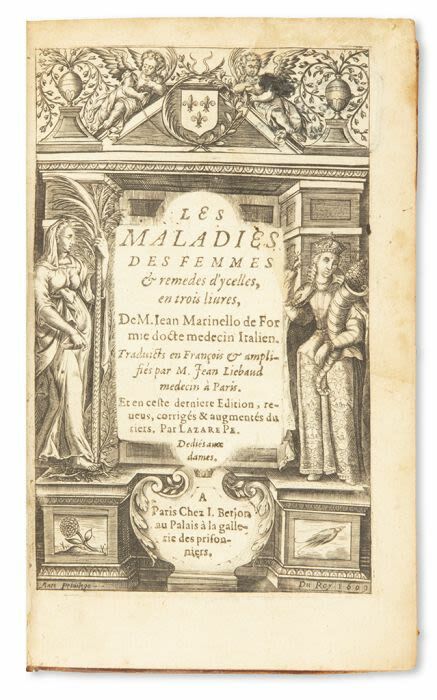 Les Maladies des Femmes. pp. , 863, . Lightly browned and trace wormed. Contemporary mottled calf, spine stained. 8vo. A study into the immune system of women, the effect of diseases on them, and potential cures.